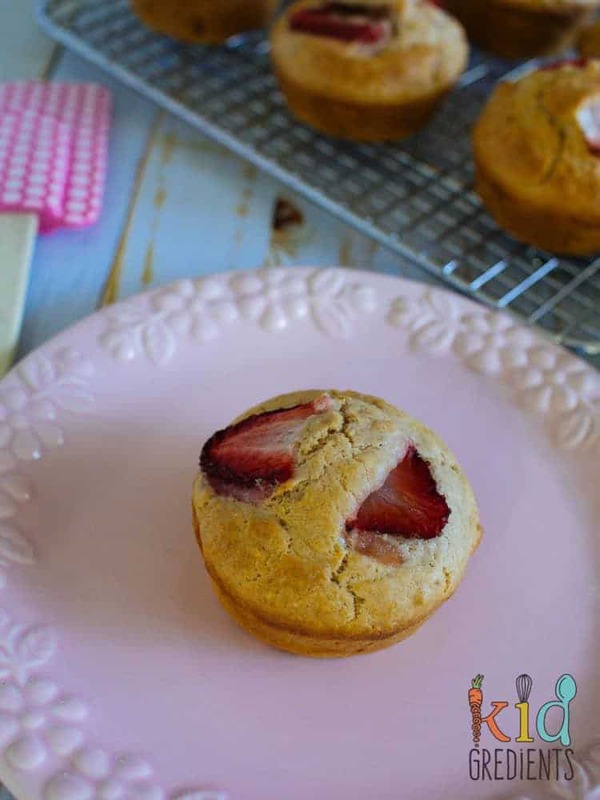 You are here: Home / Recipes / Freezer Friendly / No sugar strawberry muffins- lunchbox awesomeness! This post has been updated on 1/07/2017. 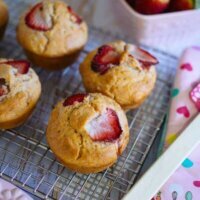 I decided to remake these no sugar strawberry muffins because Queensland strawberries are in the shops! 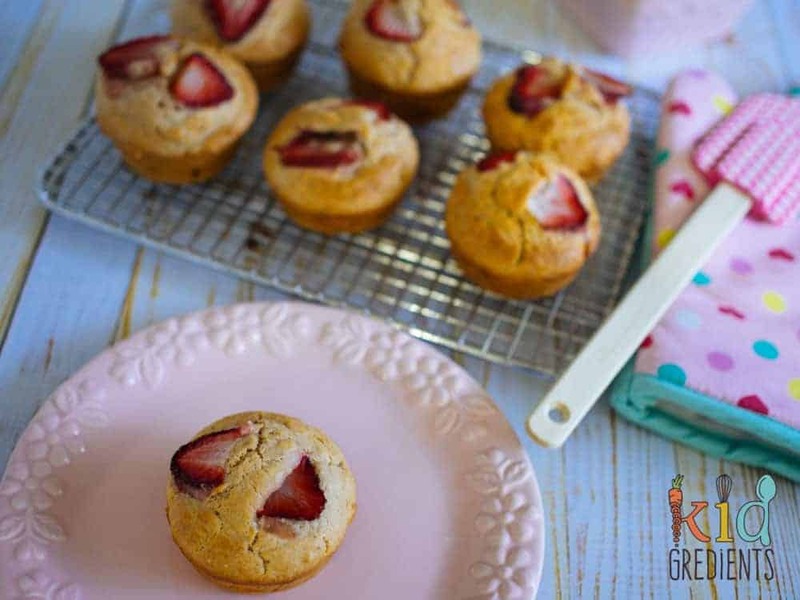 Strawberries are always a winner with the little Kidgredients and their sweetness means that these no sugar strawberry muffins are super sweet. With the goodness of yoghurt, they are also super fluffy as the yoghurt reacts with the self raising flour to make them really airy. When I originally made these, I was making them for preschool 2.5 years ago! Can you believe it? They are still a favourite. If strawberries aren’t your kids favourites, then sub with another fruit, the ratios remain the same! 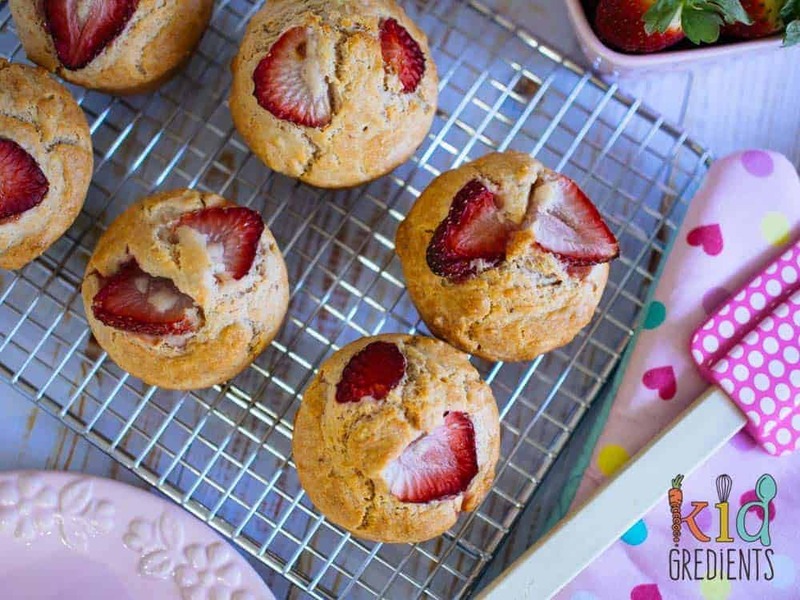 Strawberries make the best muffins! Preschool is going back in under a week. My excitement can’t be contained. But simultaneously, my fear of supplying the perfect lunch for my little kidgredients is coming out. What if they don’t eat? What if they collapse in a heap due to starvation? I know, I’m kidding, but I want to make sure they have some sustenance in their lunchboxes, so I’m baking now to make the return to preschool a bit easier. 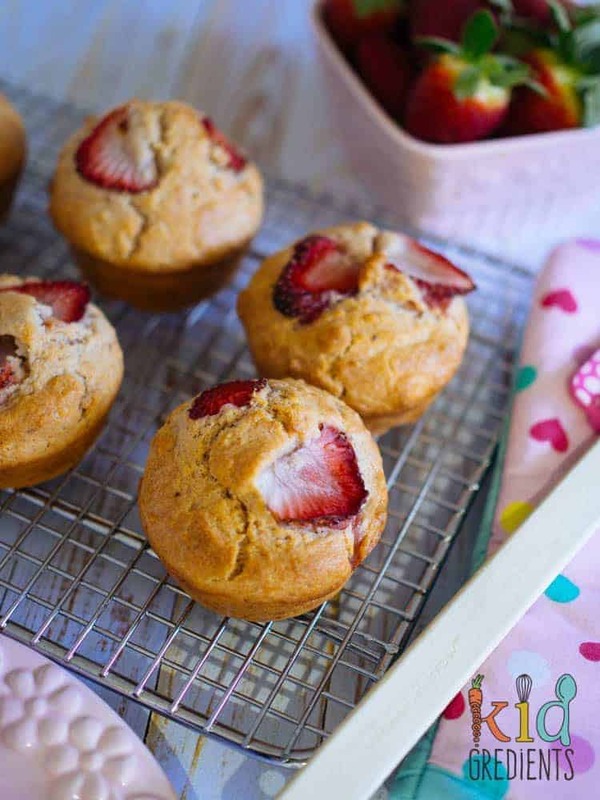 I’ve got a few punnets of strawberries, a bit of yoghurt and some freezer space- so here’s some strawberry muffins for bake to school. Ideal to bake now, freeze and pop in the lunch bag for morning tea/ after lunch snack. If your kids really have a really sweet tooth, you may need to add some sweetener, but we like them just the way they are, not too sweet for everyday and not a savoury muffin. We make these ones full size so they are a recess item rather than going in the lunchbox. Actually, not many of these end up going anywhere as they are perfect to have in the freezer at home and can be microwaved for a quick afternoon tea post school if everyone is starving! 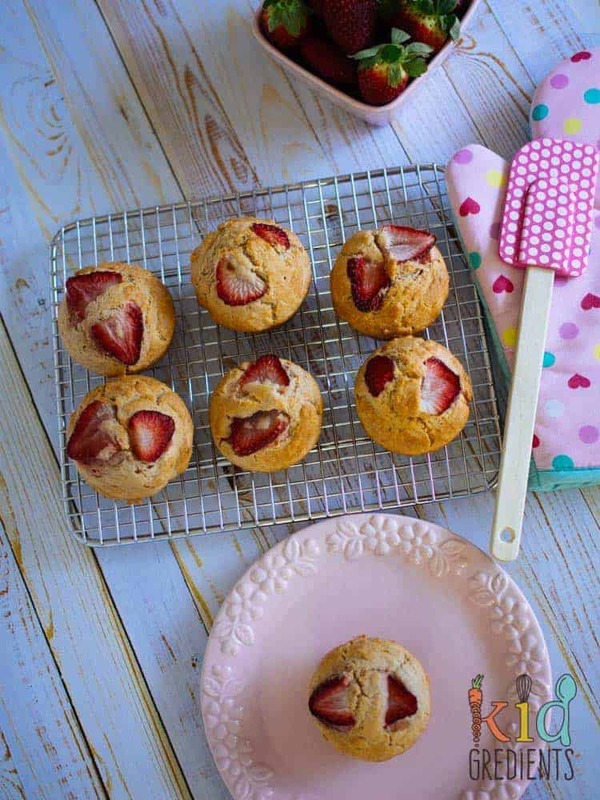 No sugar strawberry muffins. Perfect in the lunchbox and great for afternoon tea! 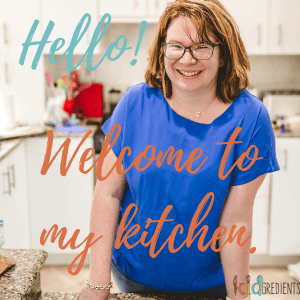 Freezer friendly and easy to bake this recipe is a kid pleaser! Line or grease a standard cupcake tray or use a silicone cupcake tray. Combine the flour, vanilla, eggs, coconut oil, strawberry puree, milk and yoghurt. Top with the chopped strawberries. Distribute evenly in the cupcake tray. Bake for 18-20 minutes, checking with a wooden skewer (if it comes out clean they are done). These will freeze well and can be defrosted overnight in the fridge. Hello, can u use frozen strawberries? Can i use oatmeal flour for this recipe? Yes, but they may end up a bit more dense.